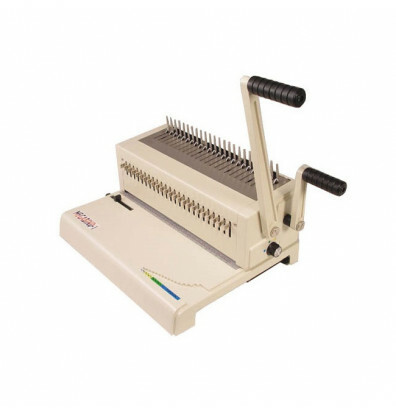 Akiles MegaBind-1 manual plastic comb binding machine features a double handle system to punch and bind at the same time or independently of each other. Fully disengageable pins for punching different paper sizes. 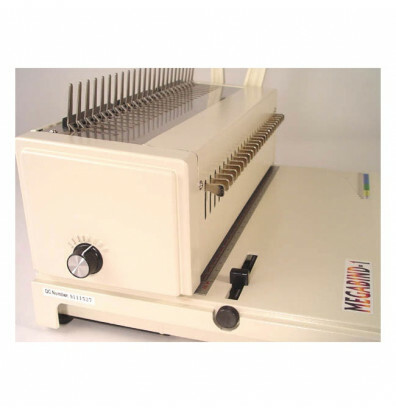 Akiles MegaBind-1 manual plastic comb binding machine boasts a 25 sheet punch capacity using 20 lb. paper. 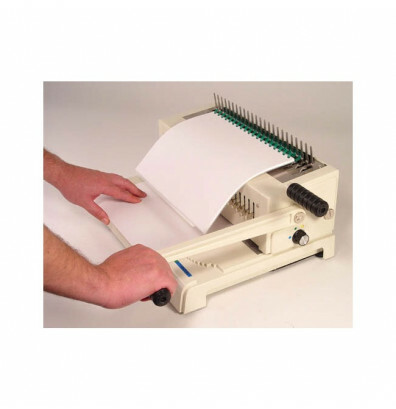 A 14" punching length is more than capable of handling standard paper sizes. 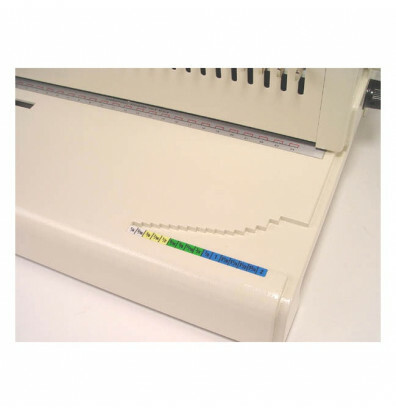 Offers a side margin control that locks the left margin and fully disengageable pins for different paper sizes and preventing partially punched holes. 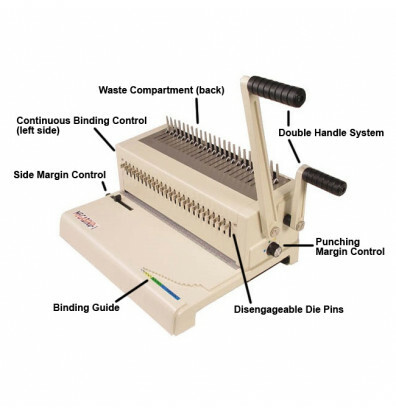 Punch margin control adjusts how far from the edge the holes will be punched reduce document tearing. Max Comb Diameter: 3/16" to 2"
Nice product. Well made. Sturdy, so far - so good. Very impressed with the value and quality of the Akiles MegaBind-1. It is very sturdy as all components are metal instead of plastic. Many adjustable settings make it easy to move from 1/4" combs all the way up to 2" combs. Very satisfied with the free shipping and fast delivery. Would definately reccommend to other small offices like ours.